Three Rivers Press (CA), 2002 Illus. by Mar0107. Trade paperback. Fine. Fine. No Jacket Fine. No Jacket Fine. No DJ Issued Fine. No dust jacket as issued. Book is in UNREAD condition. Entirely AS NEW. No marks, no bumps, no creases. No spine crease Trade paperback (US). Glued binding. 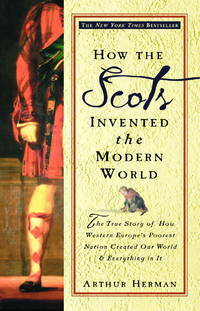 472 p. Mar0107; British Isles; Civilization; Civilization, Modern; Europe; General; History; National characteristics, Scottish; Non-Fiction; Scots..